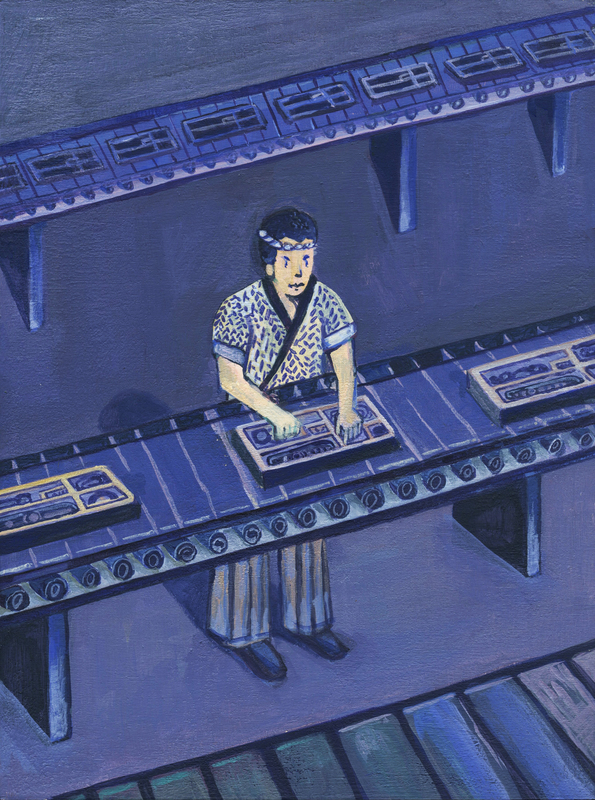 “PROFESSIONALS” is a series of ten editorial illustrations, which portray a scene of how each ten people are willing to adjust into other situations by using their job skills. 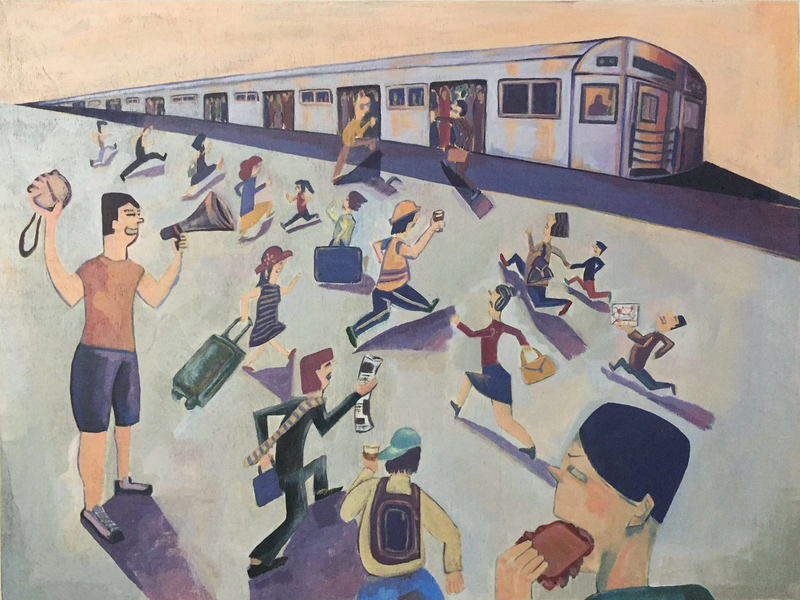 “A personal trainer” – A personal trainer trained commuters running fast in order to get into a subway. “A dentist” – A dentist repaired a fence in public. 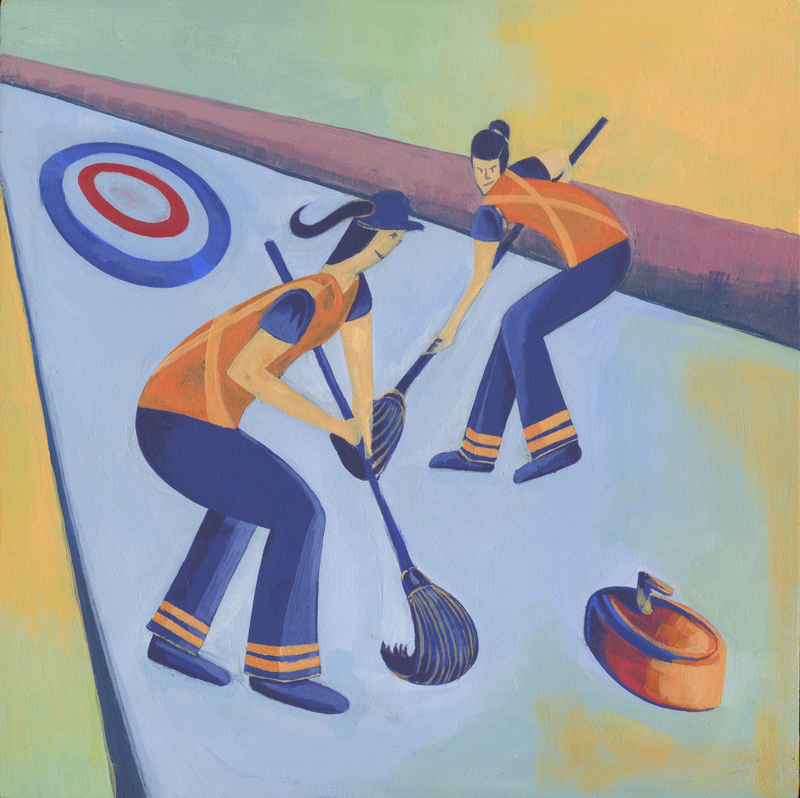 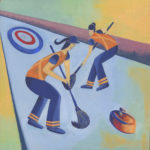 “Street sweepers” – Two street sweepers plays a sport, “Curling”. 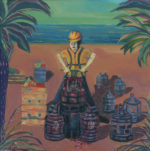 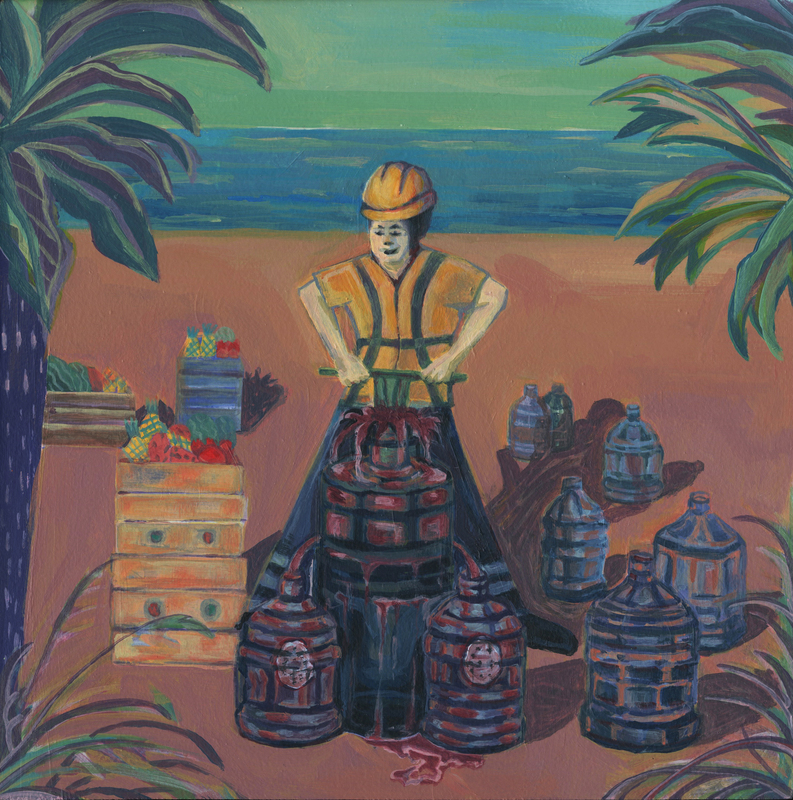 “A road construction worker” – A road construction worker became a juice maker. 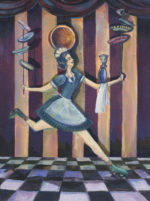 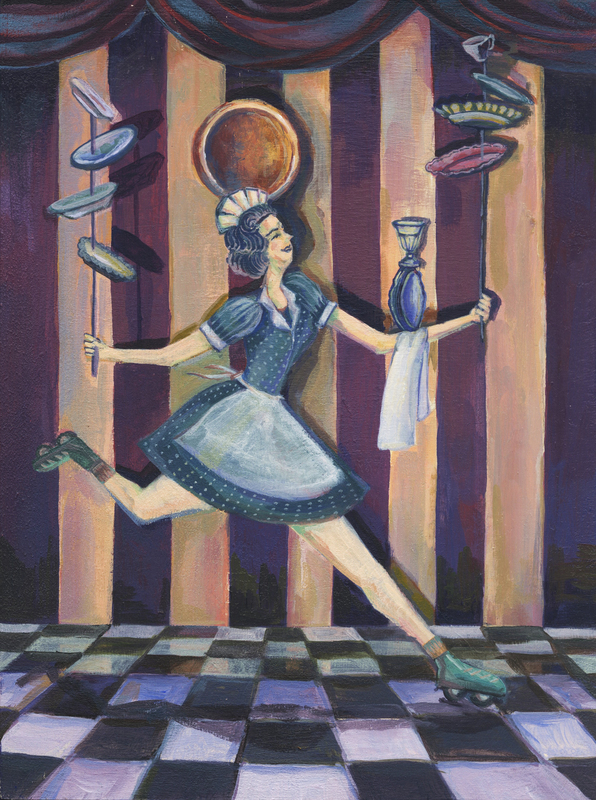 “A waitress” – A waitress performs an excellent plate juggling. 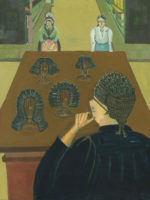 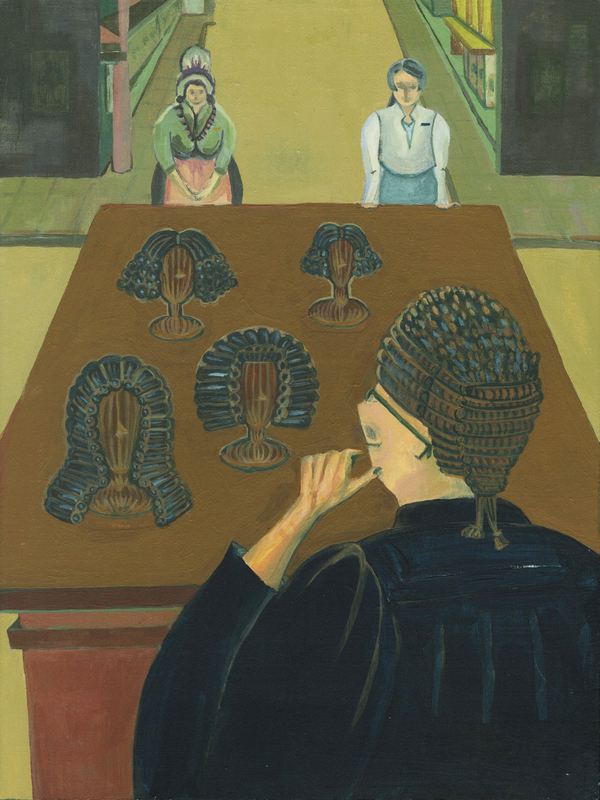 “A judge” – A judge judges which shop is better after listening to owners’ tout. 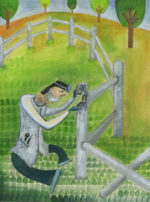 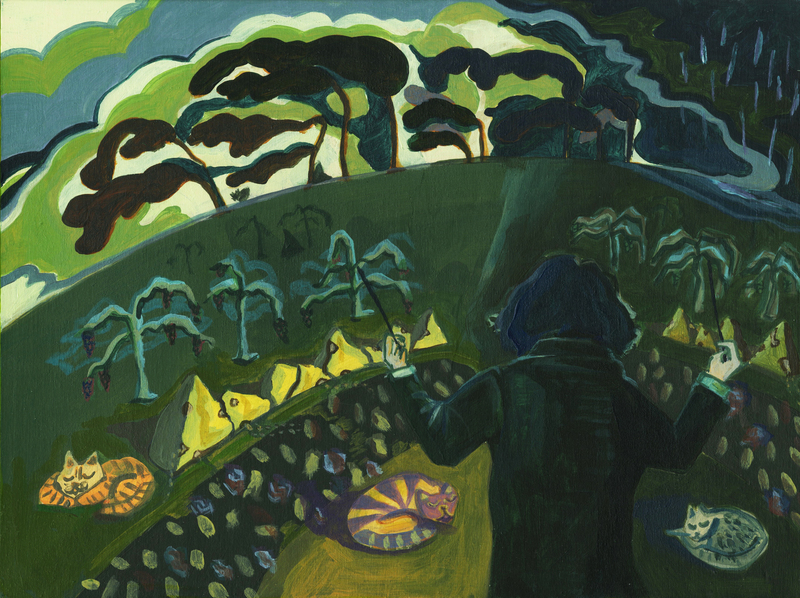 “A conductor” – A conductor feels a harmful atmosphere through finding out a water vein area. 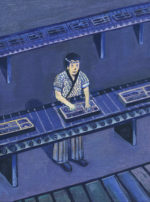 “ A chef” – A sushi chef cooks massive amounts of same electronic manufactures in a factory.